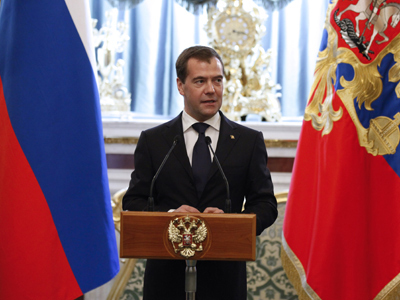 Dmitry Medvedev will greatly revamp the government’s structure as Prime Minister. He plans on introducing smaller ministries and appointing first deputy PM Igor Shuvalov as a liaison between the old team and the newly appointed professionals. The new government’s structure has already been laid out and only needs technical approval, a recent report by the Vedomosti daily says. 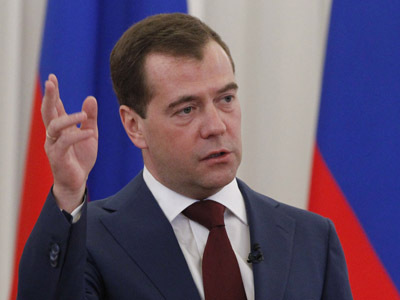 Sources close to the president expect the new structure to be approved several days after parliament accepts Medvedev as the new prime minister, the newspaper reports. The sources also claimed that the new prime minister would make the current first deputy PM Igor Shuvalov the only person with such a rank – raising him above the rest and relying on him to manage the old and the new faces in the government with minimum hiccups. First Deputy Prime Minister Viktor Zubkov, who temporarily headed the government after Putin’s inauguration, will step down because of his advanced age. 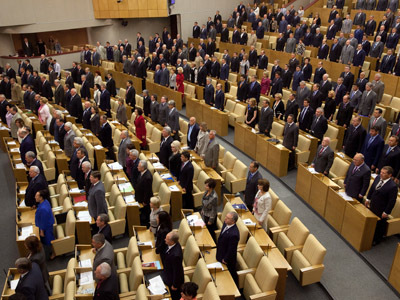 Zubkov, 70, will most likely get a high post in the State Duma. Deputy prime ministers Vyacheslav Surkov, Dmitry Rogozin, Dmitry Kozak and Aleksandr Khloponin will remain in the government.Meanwhile, Elvira Nabiullina, the current Minister for Economic Development, will become a deputy PM as well, heading the social sector in the government. Apart from the new appointments, Medvedev and his team plan to split several large ministries into smaller ones in charge of more specific issues. The Ministry of Industry and Trade will be divided into the Civilian Industry Ministry and the Defense Industry Ministry. The plan follows a recent tendency to put the defense sector under special control, a move highlighted by Dmitry Rogozin’s appointment as deputy PM in charge of the defense and space industry. 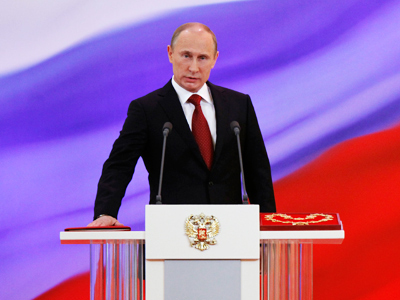 The changes will allow new agencies to concentrate on tremendous federal programs – such as defense and regional development – that will become top priorities for the government.The major change in course was outlined in a series of pre-election articles and post-inauguration executive orders penned by President Vladimir Putin. The Ministry of Regional Development will likewise be divided into the Construction Ministry and the Ministry for Ethnic Affairs. Several other ministries might be split as well. The newspaper noted that though the changes in the government will be considerate, they will be made in working mode and are unlikely to hamper its functions.The news comes in sharp contrast to 2004, when the introduction of a new three-stage government structure paralyzed the cabinet for nearly six months.